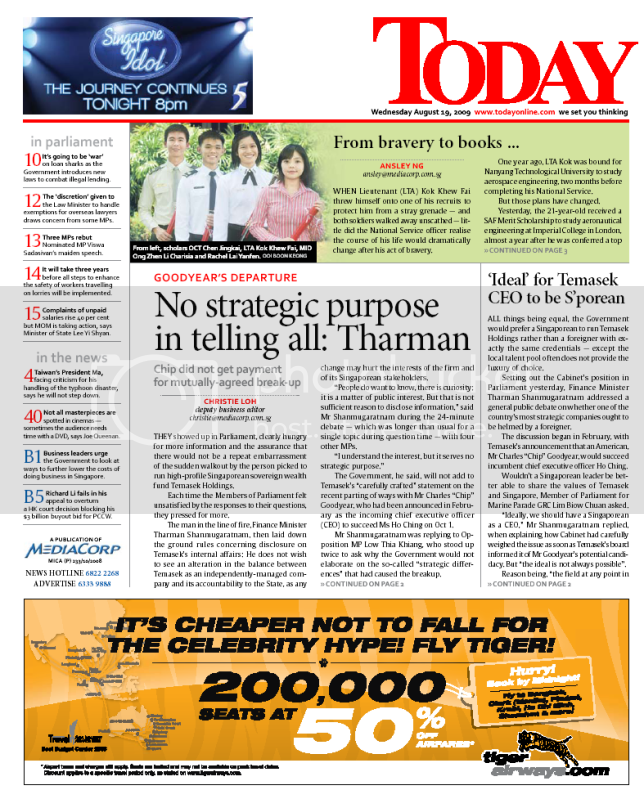 In Parliament today, Finance Minister Tharman Shanmugaratnam steadfastly refused to divulge what the “strategic differences” were which led to Charles Goodyear’s departure from Temasek Holdings. 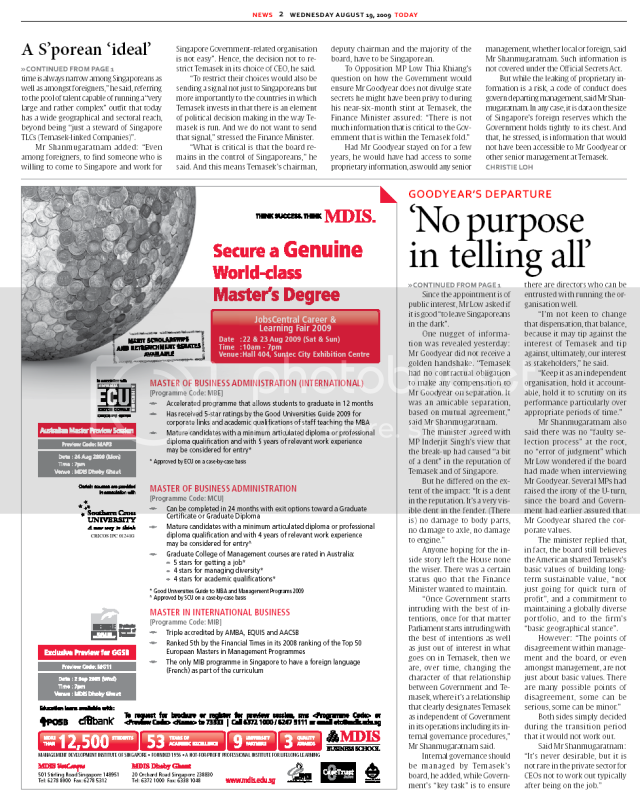 According to the Straits Times, even as “Members of Parliament threw question after question at Mr Tharman Shanmugaratnam”, the minister refused to reveal the reasons for Goodyear’s resignation, even though he admitted that “it is a matter of public interest”. “People do want to know, there is curiosity, it is a matter of public interest. That is not sufficient reason to disclose information. It is not sufficient that there be curiosity and interest that you want to disclose information.” – Tharman Shanmugaratnam. Read the Straits Times report for more.